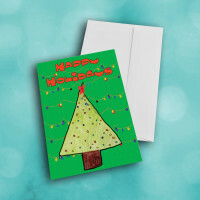 Nothing is more festive than a brightly lit Christmas tree; what better way to share your holiday greetings? 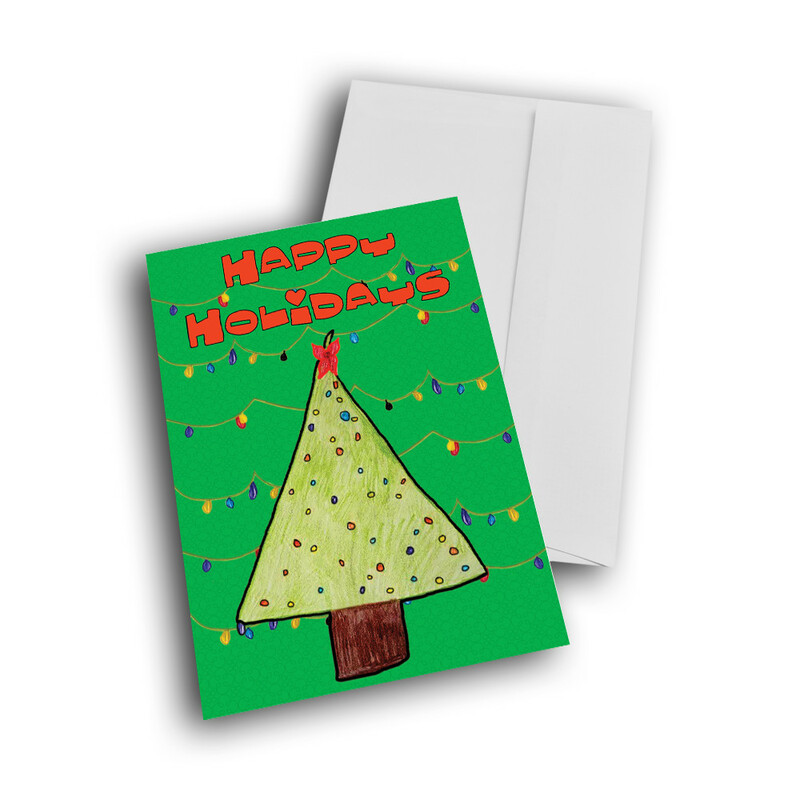 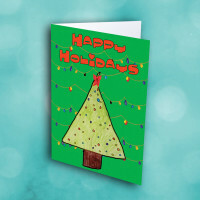 Spread some holiday cheer this season with this artistic greeting card. 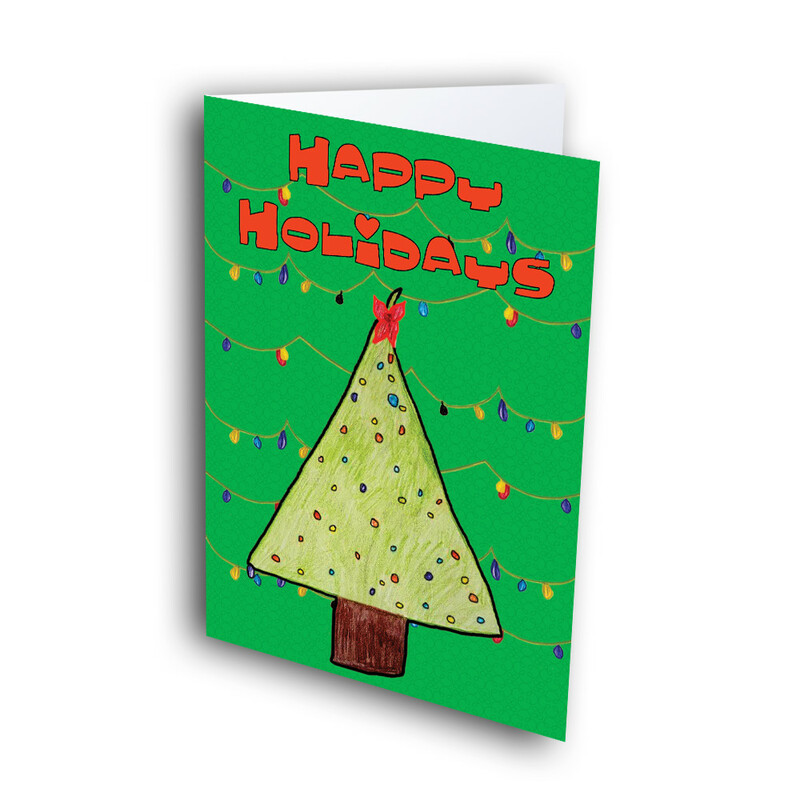 The child-like artwork of the Christmas tree and lights, paired with the fun and creative font of the greeting, make this an endearing card that is sure to please. 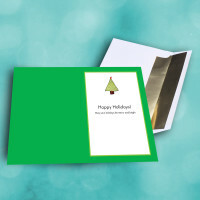 The inside features a smaller version of the tree against a dark-green background, as well as a simple, cheery message. 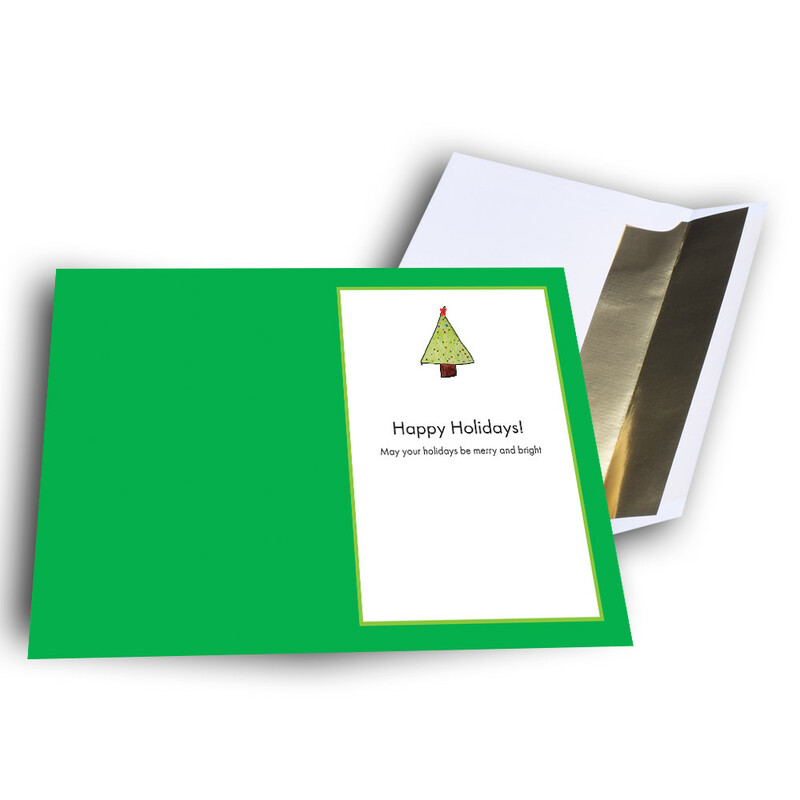 Add personalization to give the card your own individual touch.